Examining three lives - Julian Assange, Craig Wright, the Australian behind the Bitcoin inventor 'Satoshi Nakamoto', and Ronald Pinn, an online character O'Hagan created - he explores identity, secrecy, and the relationship between the individual, the state, and technology. 'Ghosting' introduces us to the beguiling and divisive Wikileaks founder Julian Assange, whose autobiography the author agrees to ghostwrite with unforeseen-and unforgettable-consequences. 'The Invention of Ronnie Pinn' finds the author using the actual identity of a deceased young man to construct an entirely new one in cyberspace, leading him on a journey into the deep web's darkest realms. And 'The Satoshi Affair' chronicles the strange case of Craig Wright, the Australian web developer who may or may not be the mysterious inventor of Bitcoin, and who may or may not be willing, or even able, to reveal the truth. 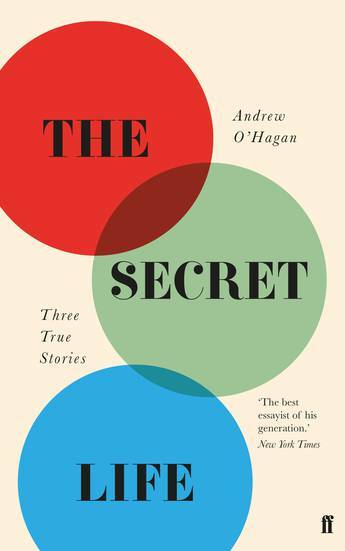 Andrew O'Hagan is one of our most exciting and most serious chroniclers of contemporary Britain. He has twice been nominated for the Man Booker Prize. He was voted one of Granta's Best of Young British Novelists in 2003. He has won the Los Angeles Times Book Award and the E.M. Forster Award from the American Academy of Arts & Letters. He lives in London.